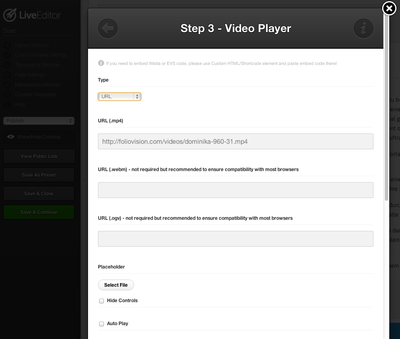 Just insert your video using the OptimizePress 2 editor and FV Flowplayer will be used to display the video. Make sure you select "URL" as the video Type. 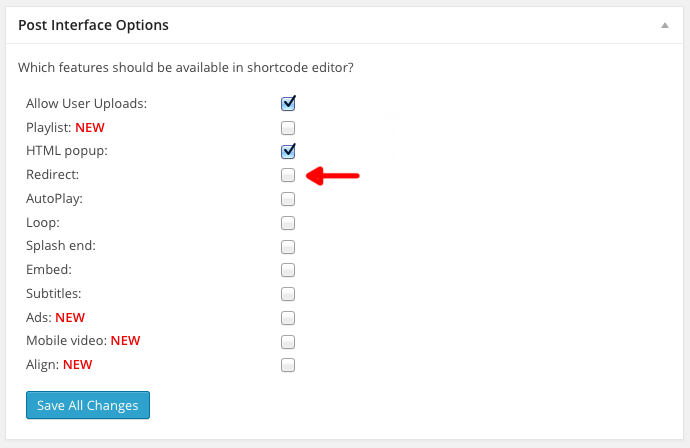 Adding redirect="http://example.com" into the [fvplayer] shortcode (or just enable the feature in Settings -> FV Worpdress Flowplayer -> Post Interface Options ) opens that URL in a popup window. However this started failing in Safari and browsers with popup blocker. So we put in a code to check if the popup was successful and if it wasn't, we just open the URL in the current window. 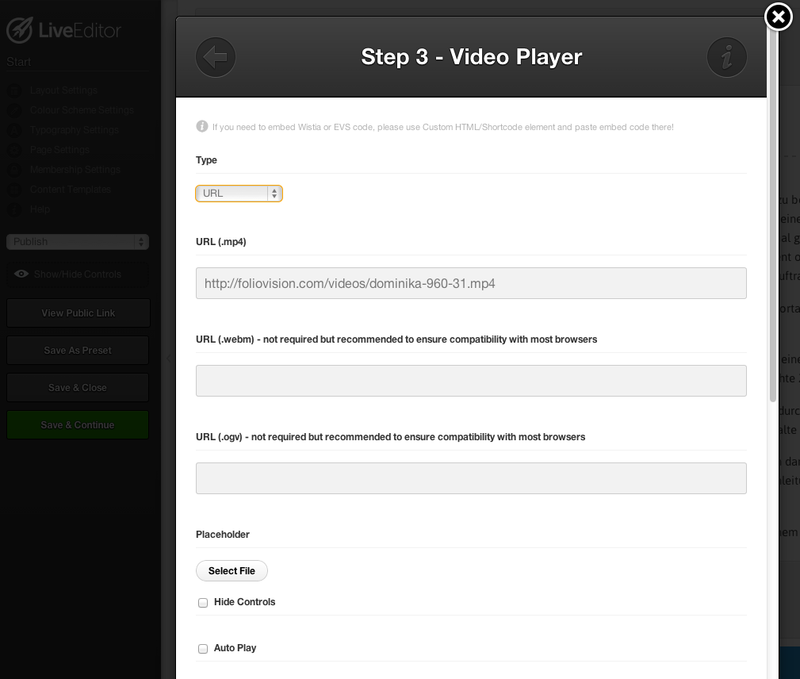 So if your video leads to some signup page, users will get to it. If they want to go back, they can still use "Back" button in the browser. Since our plugin allows you to customize the color scheme, we have to store that CSS somewhere. This was done in </head> section of HTML, but as we added more and more features, the code become longer and longer. We love clean HTML (there is always something to improve). <head> section of the website should only contain required linked stylesheets and all scripts should be linked right before the </body> tag. 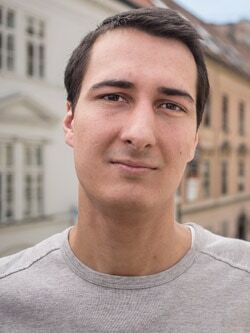 We decided to write out our CSS into a flat file on your WordPress install, together with the plugin CSS (to not increase amount of items loading). This happens on FV Flowplayer Settings save event. It uses WordPress Filesystem API to remain secure, it only goes as far as WordPress allows. 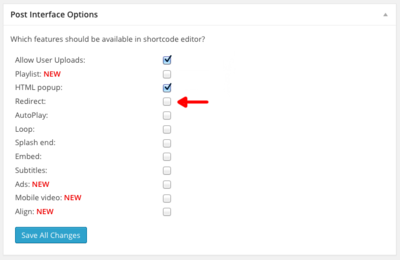 If your file permissions don't allow this, our plugin automatically switches to old behavior, that is <style> tag in <head> section of the site.